We always do our best make sure out clients get the best out their websites and their marketing efforts. But it can be an uphill struggle until you get to grips with the reasons why you should put marketing in your diary. In this quick session, I just want to share something, which is really proving to be very, very important to us over the last few years, and also to the clients we try and share it with, and that is the reasons why you should put marketing in your diary. Now, what I mean by this is having a set timetable for doing things throughout the weeks and throughout the months to enable you to focus on the things that are going to help you grow your business. I share it with everybody. It’s vitally important that you do some kind of marketing every single day because what tends to happen in small businesses, we’re busy, we’ve got so many different things we need to be working on that marketing can often feel like about the last thing you need to do. Or, even more dangerously, you end up saying, “Well, I’ll do the marketing when I get around to it.” And, unfortunately, when have you ever found “around to it?” It just doesn’t happen. So the key is to think about, first of all, making time to do the marketing. We do marketing almost every single day, pretty much without fail, and we usually do it at the beginning of every day because we realise that getting and keeping customers is our number one priority. This is because, if we didn’t do any of that, we’d have no customers and we wouldn’t have a business. We’d have, effectively, a rather badly paying hobby. So getting and keeping customers has to be the number one priority. So make time to do it every day. But, on top of that, you also need to think about the activities that you’re going to do in that time. This is where having a diary or some kind of calendar really comes into its own. I want to just give you an example of how we tend to do things and, hopefully, that will spark something off for you. So, first things first, Monday morning is always creating a marketing video. 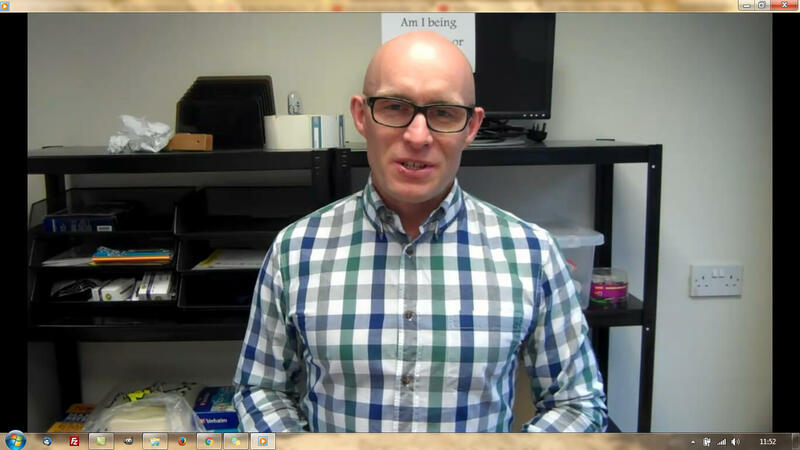 If we’re in the office, I create a marketing video, what I’m doing right now, just for that particular session. We record the video, we render it on the computer, and then publish it to YouTube. I then send the YouTube link off to my transcriber and she will type out the words that I say so it can be added to our blog in a couple of days’ time. So that’s our Monday. Tuesday is typically doing stuff within our database. So, targeting, segmenting the database, looking for opportunities and angles, making sure the data is all good because the database of your current clients, and your past clients, and your existing clients, and all the people who could be clients is very, very important. On Wednesday, it’s usually putting the transcribed video onto the blog and also promote that out onto the wider social media. We also then, on Thursday, look to do a bit of LinkedIn marketing because it’s a business-to-business channel. We’re in a business-to-business business. So that’s where our market is and that’s where we tend to spend some of our time each week. Then, on Fridays, it’s gathering testimonials. We send emails out, and we kind of bring things together and do whatever is left over from those last few days. What we also do every other week is send out an email to certain clients and also to potential clients, often very targeted. This last week, we revised the website a little bit in reference to how it looks, the feel, the design, the responsive nature, it’s SEO. So we’re spending some time each day on doing some of that. The key is this: When you sit down to do some marketing every single day, you should never be wondering, “What am I going to do?” It should already be planned out, even if you have to take some time out on Friday afternoon with you and your core team, or if it’s just you, just you. Then just sit down and think, “What am I going to do in my marketing next week?” On Monday, we’re going to do this. Tuesday, I’m going to do this. On Wednesday, I’m going to do this. Thursday this and Friday that. And look at it every month too. Okay, what days are we going to be sending out certain messages? Is there a particular theme for the month? Or is there a particular angle that we’re coming at our market from? But the key is, if you don’t put time in your diary and if you don’t write in your diary what it is you’re going to do, your marketing can become very, very haphazard. There’s one thing that I’ve absolutely definitely learned, and that is, if your marketing is haphazard, your marketing results will also be very haphazard. One thing is absolutely certain though. We do some kind of social media every single day. We use a tool on Hootsuite, which enable us to manage all our social media channels from one single spot. We’ve got an automated tweeting facility, which sends out blogposts to Twitter from our website, etc. So we do some kind of social media every single day. Having said that, we don’t spend an hour a day on social media because, to be honest, you just don’t need to and, really, how much can you be doing unless you’re spending money on social media advertising? What on earth are you doing? Looking at friend’s photographs and wedding photographs of people you don’t even know. But the point is this: Do some marketing every day without fail. Your business’ long-term survival depends on it. Plan your marketing. Write down and schedule the activities that you’re going to do. And, if you do these two things consistently, your marketing results will be far more consistent. They’ll even be a lot better because what I find is that eight out of ten, at least, small businesses do marketing in a very inconsistent, very haphazard, very ad hoc, and often very reactive fashion. Funnily enough, their results are ad hoc, reactive, inconsistent, and literally not nearly as good as they could be. That doesn’t have to be you and you don’t have to reinvent any wheels. You don’t even have to do a video blog. You could just send out an email every couple of weeks or you could make sure you do some kind of social media every week. You can make sure that the data you’ve got and the data you’re gathering is good every single week. You can focus on the social media channels that are important or even send out some sales letters to a targeted group of potential customers. The list is absolutely huge. Whatever you do, don’t leave your marketing to chance. Don’t leave it to when you get around to it. Don’t leave it to when you have some space. Just do it every day, put it in a diary. Hopefully you’ve learned why you should put marketing in your diary. But if you’re still struggling then give us a call on 0116 3552194 and we’ll chat about how we can help. 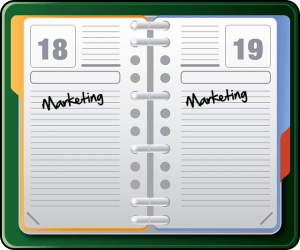 Marketing is an essential part of your business activity and should be put in your diary as a daily activity. Without consistent marketing your sales results are likely to be consistent too.